​So the cold wet weather during the week had me considering building a giant arc (which mightn’t actually be a bad idea if our government continues to ignore the reality of climate change). 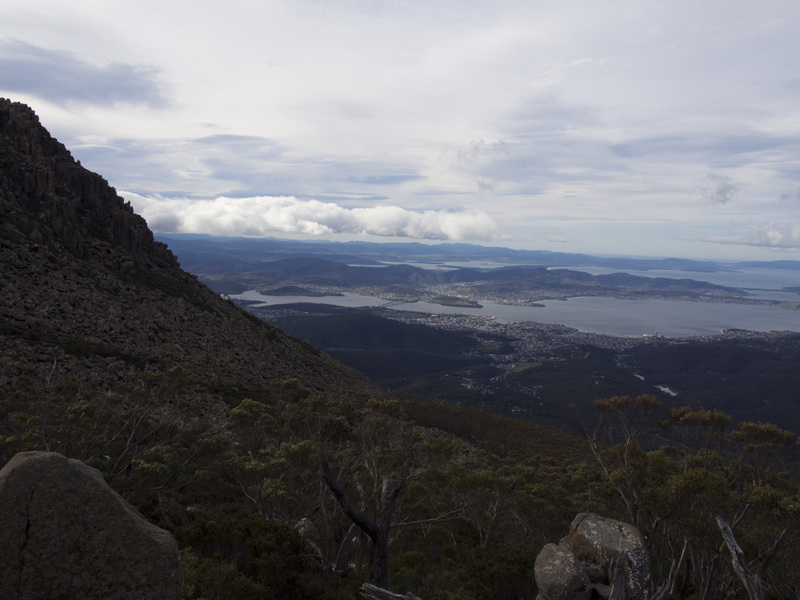 But by Friday, most of the rain had stopped so Dad and I went for another walk up the mountain. There looked to be a light sprinkling of snow about the summit and having walked the lower slopes last week, we thought we would head up to the summit this time. I was expecting it to be cold so I started packing accordingly. Heaps of warm clothing and extra food went into my big pack. I wanted to take my ski gloves, but I could only find one. I didn’t want to be Travis Cloke (this glove wasn’t AFL approved either) so I decided against the one glove approach and settled for a light pair of running gloves. We had hoped to meet at The Springs, but found with the road closed we had to start at Ferntree. 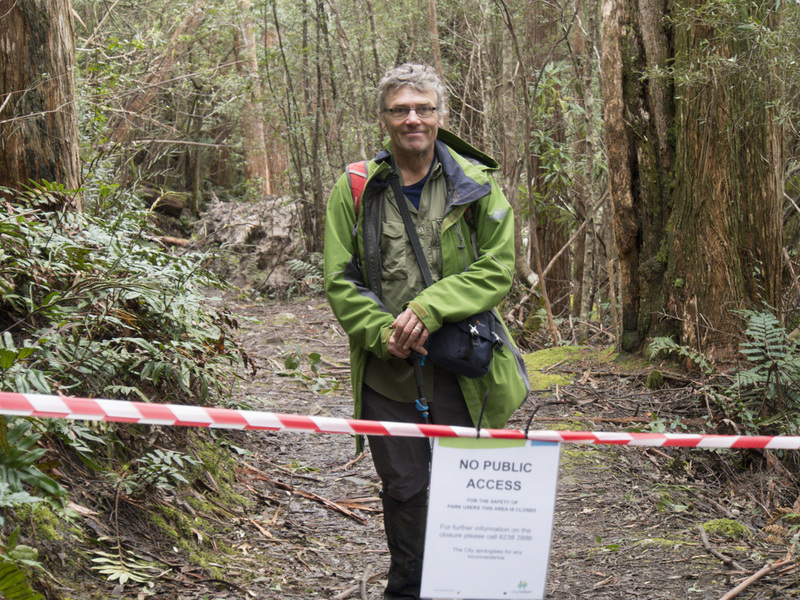 This was hardly a problem as it gave us another chance to go up the Fern Glade Track. Today was my first day attempting my own photography (with considerable guidance from the old man). I must admit I kind of struggled. I have fumbling hands and tend to put my fingers in the wrong places (at least that’s what I’m told by- actually never mind) so I got a few accidental shots of my foot, the ground and the lens cap, but as the day wore on I started getting better at focusing the camera at what I wanted and took a few better photos (all the while hoping my dad was taking a few that I could put in this story). 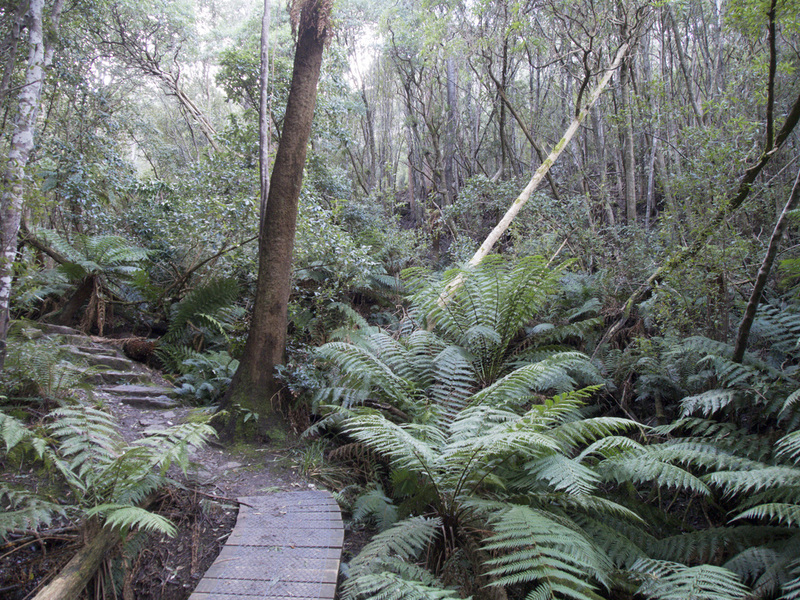 ​The Fern Glade Track was a little different to when we had come up a week ago. ‘Timber,’ I thought to myself, not in reference to the awful song by Ke$ha (does she still spell her name like that? 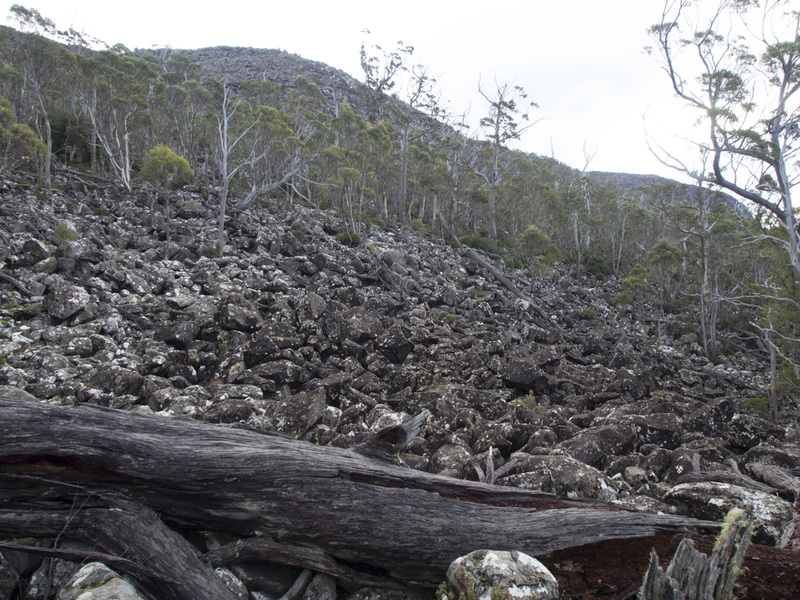 ), but looking at the impact of the winds even on this sheltered part of the mountain. A number of fallen trees littered the ground, but did little to detract from the peaceful beauty of the glade. We were pretty soon onto Radfords Track and approaching the Lea. I was wearing brand new boots and had considered wearing them in during the week. Showing the sort of overconfidence that led Steven Conroy to suggest conducting freedom of movement exercises in the South China Sea (yep he really did and he is the shadow minister for defence), I decided I’d be fine wearing them in on the walk. “I’ll just take some tape and some bandaids in case,” I told myself, but do you reckon I brought any? Confidence and being willing to be wrong can be wonderful things, but sometimes (like today) they just cause blisters and I was already feeling the telltale rubbing in my heels at this point. Any regrets I had about the boots were smugly erased soon after. 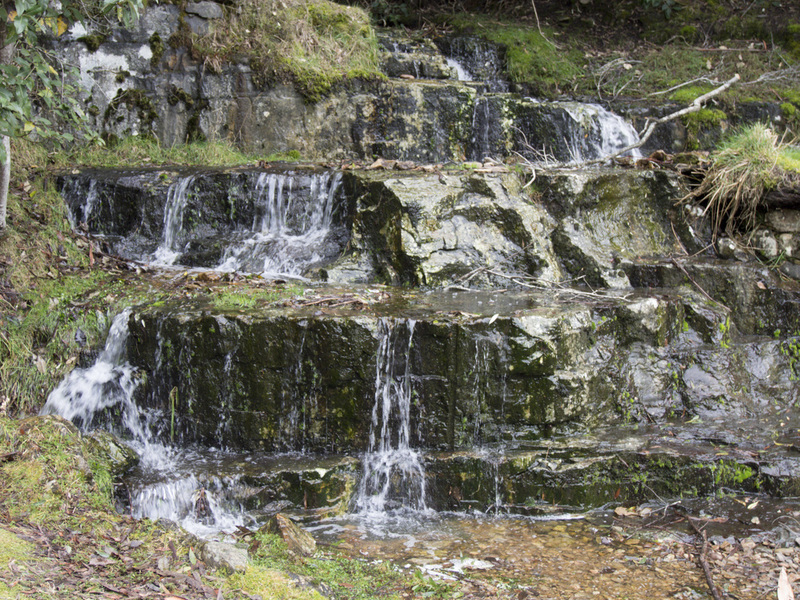 As we climbed closer to the summit, the path regularly became a shallow river from the melted snow above. My old boots had as many problems with their integrity as the Brexit campaign and my feet would have been soaked if I was still wearing them. The higher we got, the colder it got and soon the snow had stopped melting and we were walking through a pristine snow-covered trail. At this height we were getting little protection from trees or the mountain itself so the wind was really ripping into us with implacable savagery of John Stewart’s public dismantling of Trump supporters for their stupidity and dishonesty. Just before we crested the top of the trail, we stopped to have some lunch. 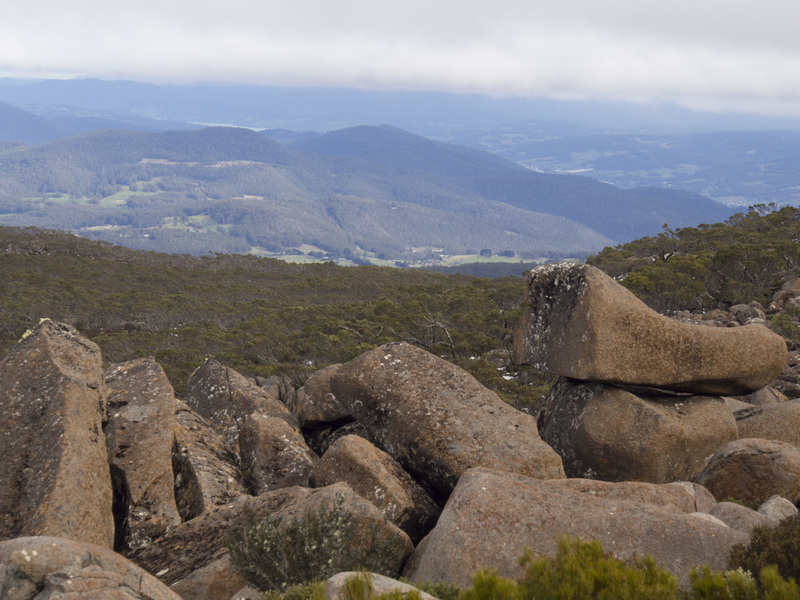 After a bit of scouting around we found a sheltered gap between some boulders that protected us from the swirling wind but gave us an expansive view of everything from Kingborough to the Derwent Bridge far below. Even at this distance you could see the lines of disturbed water in the river as gusts of wind blew over it, while a little puff of frothy swell could be seen all the way out at Blackjack Rocks (at least there wasn’t a catamaran there, Bob Clifford). I emptied my pack of all my warm clothes and put them on, quickly surmising that my lightweight gloves were going to be as inadequate as Scot Morrison’s understanding of economics so my hands were still going to be cold. There was much less snow actually on top of the mountain, but there was more ice than an episode of Breaking Bad. The wind up her was incredibly strong. As I weighed well over 100kg with my pack (I'm just big-boned), I had assumed the wind would be cold and noisy (which it was), but would have little physical impact on my movement. As with my boots, I kind of over-rated myself there. Gusts of wind ripped in from the southwest with incredible force. I had to lean to the left more than Adam Bandt to compensate and even then the occasional stronger gust still pushed me off balance, with one blast ramming into me like a sheep hitting Barnaby Joyce and knocking me on my arse. About half way along the walk we passed the faded sign to the Rocking Stone. My told me that referred to (as its name implies) a large stone that used to rock but doesn’t any more. He seemed surprised that I didn’t find this strange and ask any follow up questions, but I remember Silverchair so I am quite familiar with things that used to rock but can’t anymore. The snow got thicker at the northern end of the plateau. At times we were almost knee deep and at other times the rocks were almost bare. 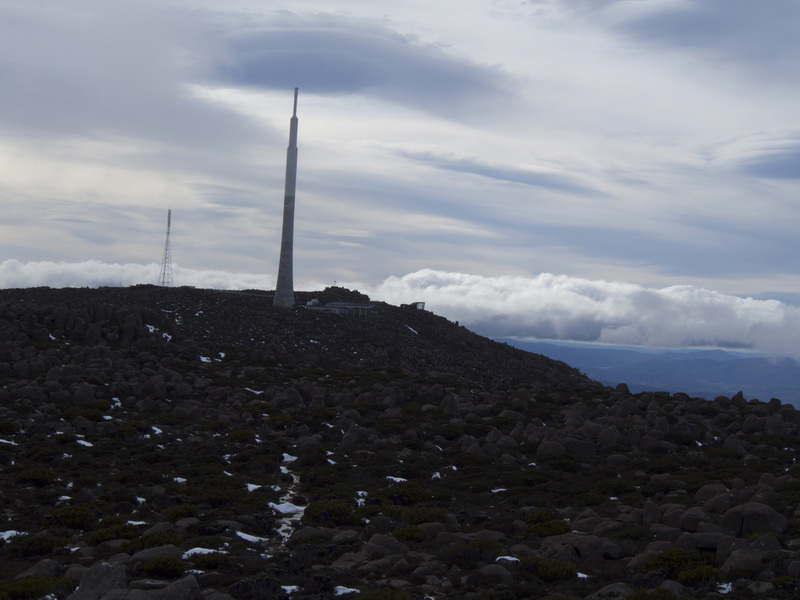 Combined with the onslaught of the wind, I was working harder than Tas Networks repair crews (actually that is clearly an exaggeration- they have been incredible) just to stay balanced. 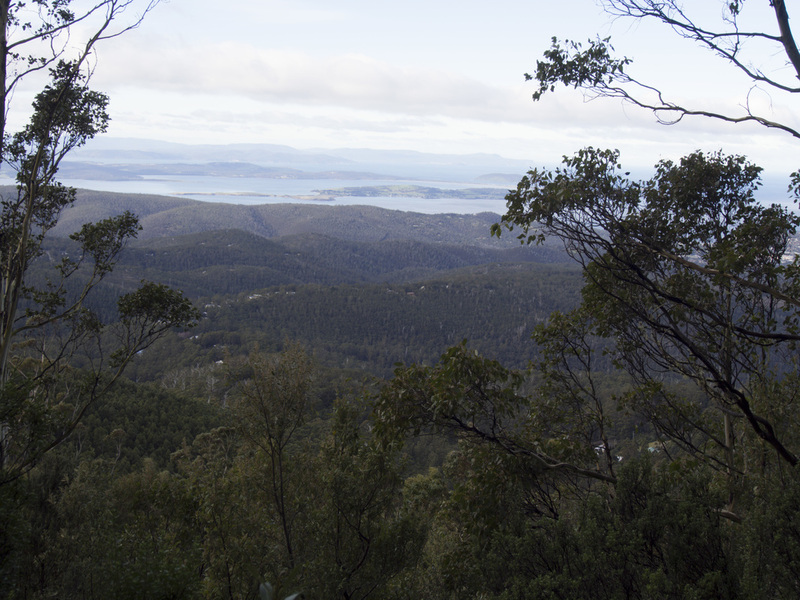 We topped another little rise and could see the Zigzag Track below us heading back down the mountain. After reaching the track we followed it towards the cliff face where it cuts its way back down. There was plenty of snow and it was pretty steep so we made our way carefully, stopping from time to time to admire the views above and below us now that the Organ Pipes were rising up to our left. 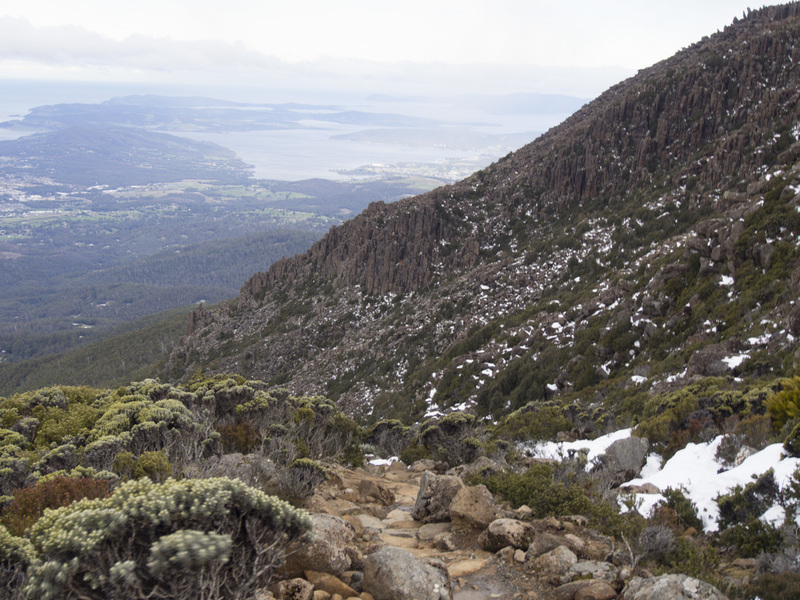 ​We topped another little rise and could see the Zigzag Track below us heading back down the mountain. After reaching the track we followed it towards the cliff face where it cuts its way back down. There was plenty of snow and it was pretty steep so we made our way carefully, stopping from time to time to admire the views above and below us now that the Organ Pipes were rising up to our left. 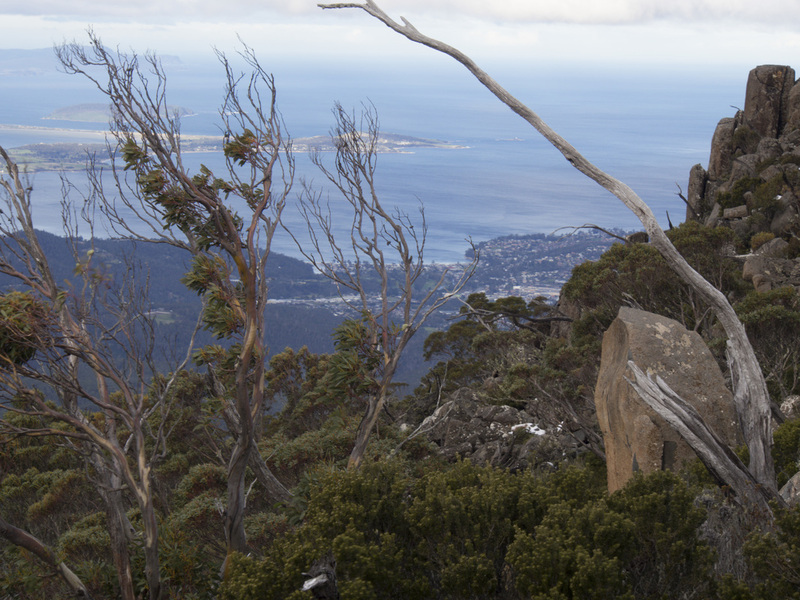 A little way down the track is a natural lookout with some flat stones that serve as seats. We stopped here for another meal break and to take a few more photos. I also started to take off a few bits of warmer clothing and for the third time discovered I wasn’t quite as tough as I thought, quickly putting most of them back on again. Normally this track is very busy, whether it is a warm day or snowy like today, but today we saw almost no one. With the road being closed the longer walk might have put a few people off (either that or they were out chasing pokemon). After a while, the snow quickly thinned and disappeared. I had expected the track below this point to be wet and muddy, but it was surprisingly dry so we walked along easily enjoying the open views to our left. 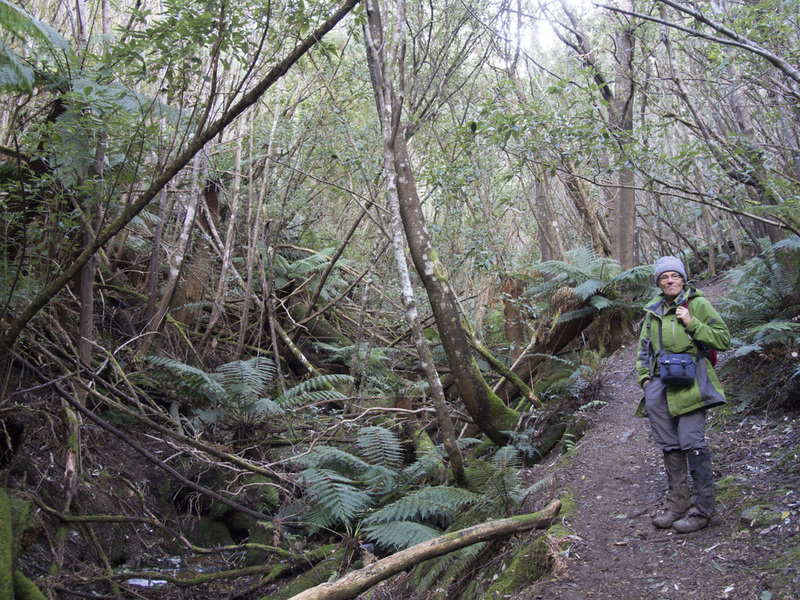 ​After The Springs, we continued back down Radfords track. 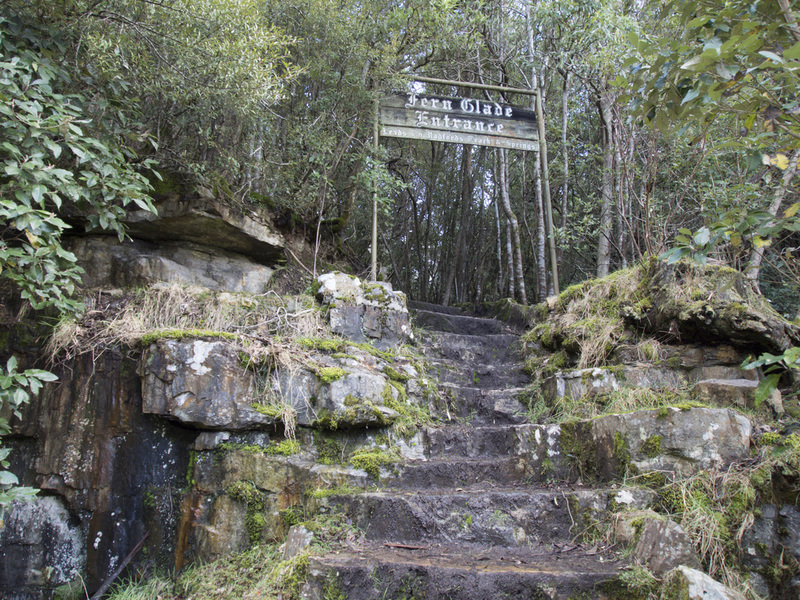 We had planned to take the slightly longer and more scenic Fern Glade Track down to Ferntree, but as we were on our way to the intersection we came across this. (As you can see from the picture, my rebellious father does not follow rules). We were tempted to treat the sign like China treats international law (yes Chinese friends, I know you could say the same about Australia), but as we had already come up that way, this was not a major disappointment. We turned and completed the descent down Middle track as we had done previously. ​We returned to Ferntree after another 30 minutes or so. My cheeky dad had suggested he thought he was losing a bit of fitness less than an hour into the walk, but at the end of four and a half hours he was still moving very easily, going out of his way to pick up rubbish other people had left on the track. I had also managed to get through the walk without any of the blisters bursting on me, but that had been a close run thing, but even with concerns about my feet it had been a lovely walk.